How are you guys going with guessing those gold polishes? You have plenty of time to enter, and I suggest your best static is to google a brand and 'gold polish' to see what you find. I might give some hints in the comments of that post too, about which ones I've not shown on my blog before to give you some more help. That way you can also search my blog to know what I have. 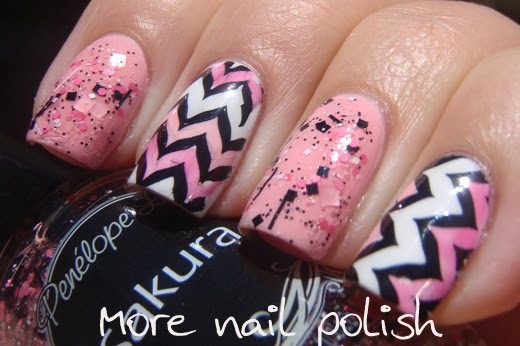 Today I have a NOTD that I wore with Penelope Luz Sakura. 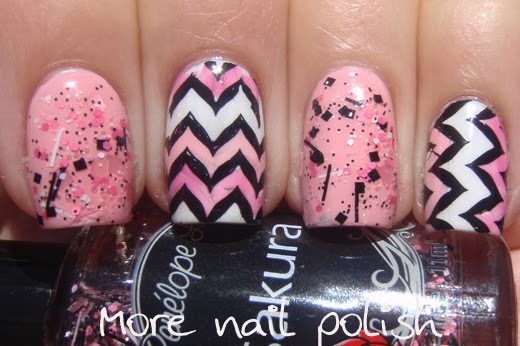 Sakura is a glitter topper with two shades of pink glitters and black and white glitters. I wore two coats of Sakura over Picture Polish Fairy Floss. 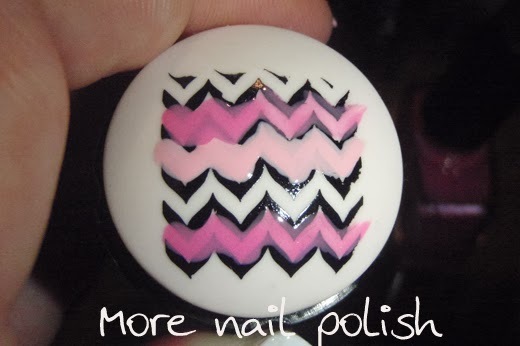 On my other fingers I did some quick coloured stamping using the Messy Mansion Chevron Plate MM12. I didn't do these as decals where you colour the stamp in and paint top coat over it. Instead I just coloured some of the sections in with very thin and quick coats. There is a photo at the bottom that shows how it looks just before I'm about to stamp it on. 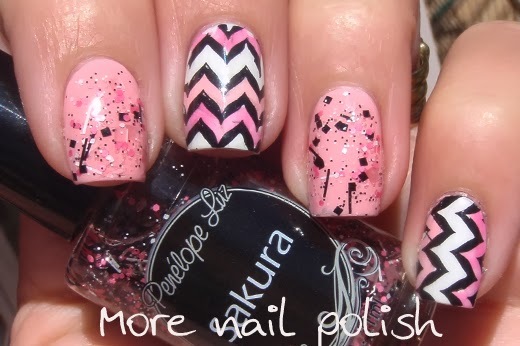 I allow that to dry for about 1-2 minutes, and then just stamp it onto my nail as usual. I love that pink glitter! Where is Penolope Luz from may I ask? It is so pretty! All of ur mani is pretty actually! Penelope Luz is a Brazillian indie brand. I've updated the post with details of where you can purchase her polishes. I love Sakura... one of my favorites from Penélope Luz! This looks beautiful, I love the stamping technique!